Foot, ankle and leg pain can be a burden on daily activities. 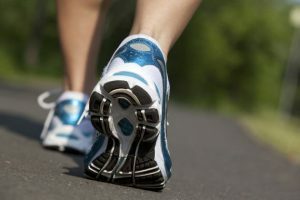 With every step there is 2-3 times your body weight being transferred through your feet. Injuries can be sudden/acute or occur over a long period of time. Pain can be a result of a problem with your skin, toenails, muscles, tendons, ligaments, joints, bones, nerves, veins and/or arteries. Orthotics can improve your lower limb alignment, reduce foot and ankle pain and also significantly help with reducing knee, hip and back pain. Foot orthotics are worn inside the shoe to control abnormal foot function and improve lower limb alignment. We offer heat moulded orthotics, Joeys or pre-designed orthotics or customised, prescription orthotics. Children’s feet differ from those of adults, as they are not yet fully formed. As children are growing and are most active at this stage, this is the crucial time to address any lower limb, gait or foot concerns. We can address shin pain, toe walking, flat feet, heel pain, alignment issues and more. We all want the best for our children, this includes looking after their feet and legs. General foot care or general podiatry is the routine treatment and management of your toenails and other skin conditions. We will take care of all of your general foot care needs including corns, blisters, bunions, toenails and more. 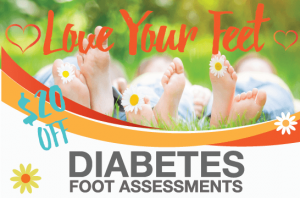 We can help those with difficult to cut toenails, poor eyesight and a lack of ability to reach the feet with ease and without pain. If you're not sure if you need to see a podiatrist, why not have a free 10 minute check with us. Obligation free. Should I run on my toes? Forefoot running vs heel strike: 4 Myths Busted! Enter your details and we'll send your voucher straight to you! Don't forget to bring it with you to your appointment. We really hate spam too, so your email is safe with us! Your Podiatry Canberra is co-located with Sport & Spinal Physiotherapy in Gungahlin and City West.